Marking the bicentenary of Liszt's birth, Louise Fryer presents a day of concerts from across the European Broadcasting Union. Music from London, Raiding, Budapest and Bayreuth. 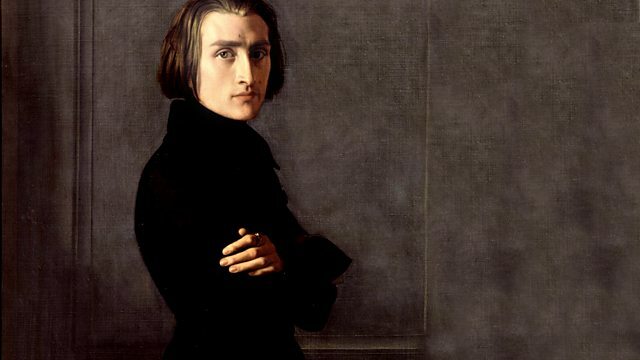 Radio 3 celebrates Franz Liszt's bicentenary with a special day of concerts from all over the European Broadcasting Union. The day starts with our own BBC Singers in a programme of Liszt's vocal music from Wigmore Hall in London. Then to Raiding where Liszt was born, for some of his symphonic poems, a form which he invented. Liszt's Hungarian background is represented through a performance of his mighty oratorio, Christus from Budapest. After retiring from the concert platform at the age of only 35, Liszt settled in Weimar, and the Leipzig Radio Symphony Orchestra concert from there includes his Faust Symphony. Liszt spent his final years in Bayreuth, and the day finishes with a live concert from the Grosses Festspielhaus featuring his Second Piano Concerto, performed by Konstantin Sherbakov. Liszt: Pax vobiscum; Five Choruses; Salve Regina; Psalm 116 ('Laudate Dominum'); Das deutsche Vaterland II ('Was ist das deutsche Vaterland? '); Es war einmal ein König ('Flohlied'), from Goethe's Faust; Ungarisches Königslied; Magyar király-dal (Aldott légyen Magyarok királya); Weimars Volkslied. Liszt: Mazeppa, Symphonic Poem no.6, after Hugo; Hungaria, Symphonic Poem no.9; Hamlet, Symphonic Poem no.10, after Shakespeare. 2.00 St Stephen's Basilica, Budapest. Liszt: An die Künstler (Friedrich con Schiller); A Faust Symphony. Liszt: Piano Concerto No. 2 in A, S. 125; Totentanz, symphonic poem (Paraphrase on 'Dies irae').